Q. How much MAH do I need to feed and how long will a bottle last? The basic maintenance feeding level for a 500Kg horse is 25ml, meaning that 1ltr will last 40 days. However, there is an initial loading amount and feeding rates vary. Q. Is MAH suitable to use in competition? 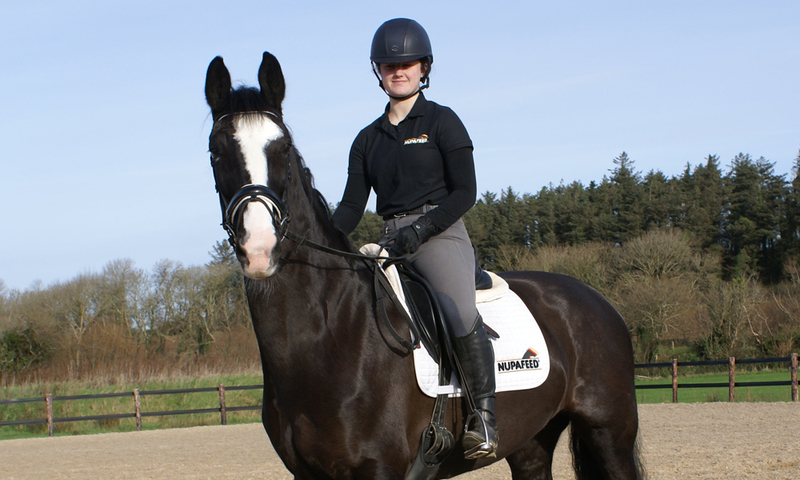 MAH contains no banned substances in accordance with the FEI, BHA and the Jockey Club, and is suitable for competition at all levels, in all countries, including the United States. MAH has been screened by the LGC laboratory in Newmarket (formally HFL) using the Gold standard of sports supplements screens. 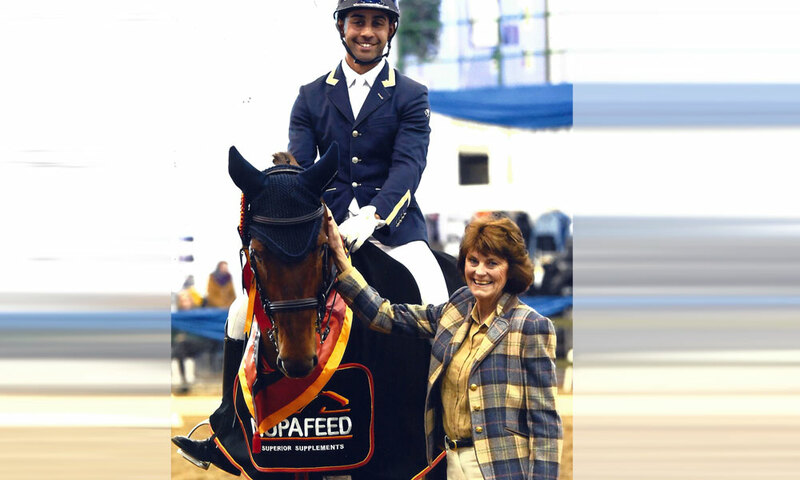 All Nupafeed products are subject to stringent quality control and are produced in a highly exclusive, pharmaceutical environment. Q. How long before MAH starts to work? Most horses require around 3-10 days on the loading level before they begin to settle. For horses that are not stressful in their day to day environment, MAH Concentrated Syringes can be used as an instant calmer for problem times. These require an hour and a half for absorption. Q. Is MAH Calmer safe to give alongside other supplements or medication? Yes, MAH calmer is safe to feed with other supplements or medication. Magnesium can hinder the absorption of tetracycline antibiotics. For this reason it is best to feed them at least two hours apart. Q. My horse is a fussy feeder, what can I do? 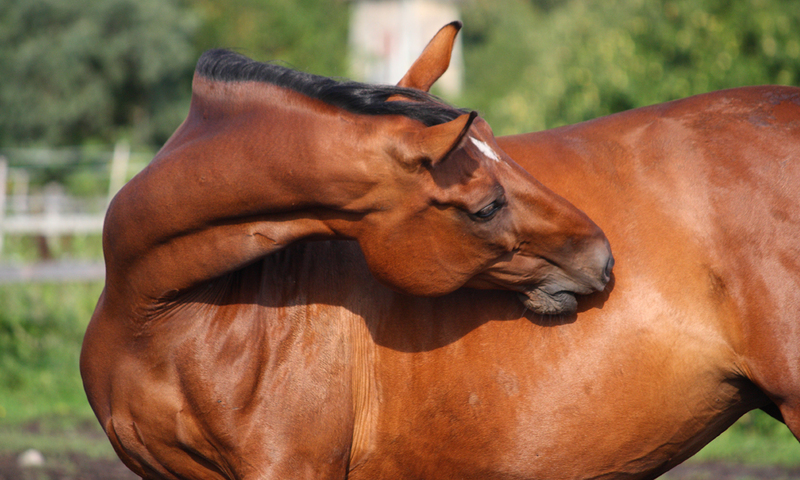 MAH is an odourless liquid that mixes well with feed, so most horses will not notice it. If your horse is normally fussy we recommend that you start with a small amount and build up to the full loading amount gradually. MAH can also be given by oral syringe. Some people need to do this for the loading amount but find the daily amount is small enough to go in feed. Alternatively, you can mix MAH with something palatable, either in a scoop (with some squashed apples for example), or try mixing it with some natural apple juice, minty water, fruit squash or molasses before adding to feed. MAH (pronounced M.A.H.) is a unique form of magnesium, magnesium l-aspartate hydrochloride. This compound has been scientifically developed to improve absorption without causing pH disruption. Q. What are MAH Concentrated Syringes? Our Syringes contain a concentrated form of the MAH Liquid making them more effective when you need to target a particular time of stress such as travel or competition. They also provide faster absorption. MAH Concentrated Syringes can be used alone or in conjunction with the Liquid. Q. I have used other magnesium supplements with no benefit; does this mean that MAH will not work either? 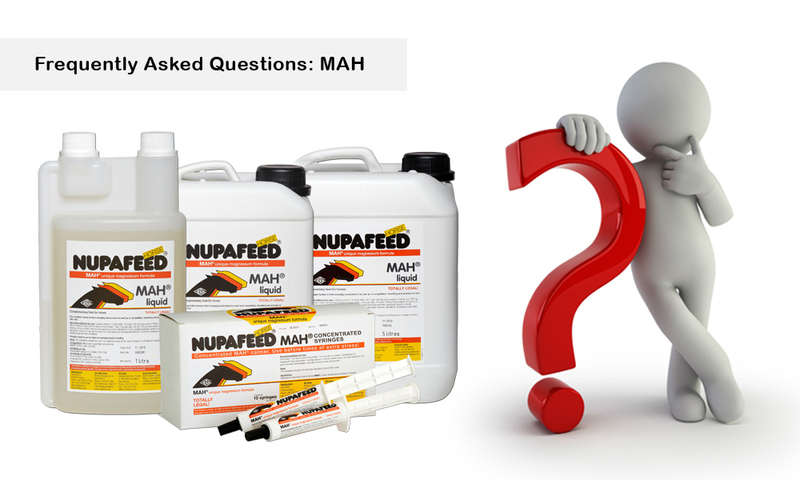 Not at all, many customers who now swear by Nupafeed MAH originally came to us with this question! MAH has been especially developed to maximise the absorption of magnesium into body tissue making it much more effective. Q. Has MAH been tested for safety in horses? Magnesium is very safe for horses. It has been tested at very high feeding levels over the course of a month with no side effects recorded. MAH is also the subject of published trial data that includes full blood work and treadmill testing in horses, at feeding levels many times greater than your horse would ever receive. Q. Will MAH compromise performance? Magnesium is essential for healthy muscle, nerve and brain function and does not have a drowsy action. MAH does not contain herbs, L-tryptophan or any other ingredient that may compromise performance. Q. Can I give my horse too much MAH Calmer? MAH is easily excreted through the urine so it is very safe to feed. This excretion follows the same bell shaped curve that is seen in other species. Horses will also excrete magnesium through sweat during exercise. As with any supplement, always follow the feeding recommendations. Q. Are there any contraindications for use? Do not supplement magnesium if your horse has a history of any renal insufficiency. Always consult your vet if your horse has any ongoing health issues. Q. Can I use MAH with a horse/pony that suffers with EMS/Cushing’s/ Laminitis? Yes, magnesium supports metabolic health so there is no contraindication for use. Q. Can I test to see whether my horse would benefit from more magnesium? An assessment of your horse’s response to supplementation is the best indication as it is safe and economical. Blood tests are not useful because the electrolytes in blood are tightly regulated, fluctuating within a narrow range throughout the day. This means that only a true deficiency would show in a blood test. If this were the case the horse would need immediate veterinary care. To get a more accurate picture a tissue biopsy would be required, but this practice is not at all justified. Q. Can I use MAH with a stallion on stud duty? Yes, no problem! MAH can be very helpful with stallions that are covering, especially if they are also competing around mares.